Today, Normandy is celebrating the 70th anniversary of D-Day and the Battle of Normandy. Traditionally, annual commemorations of the Landings of June 6, 1944 have always been major events for Normandy, but this may be the last anniversary last decennial anniversary to take place in the presence of actors in and witnesses to those momentous events. Thus, it is a particularly special occasion. A huge number of visitors coming from everywhere in the world are taking part to the commemorations. Yesterday evening 24 fireworks were launched from the Norman beaches and could be seen from the sea: a stirring sight for the passengers on board several cruise ships sailing in the area on the occasion of the commemorations. The Port of Le Havre announced that Sea Cloud II operated a turnaround in Le Havre on May 30 with 90 passengers who sailed to Cherbourg where they disembarked to visit the Landing beaches. 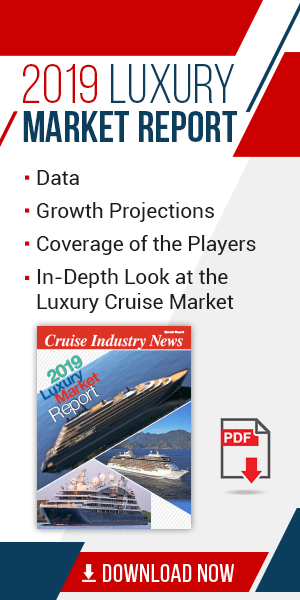 The passengers re-embarked in Caen for two days along the Norman coast before sailing back to Le Havre where they are expected on June 7 for another turnaround. Fred Olsen Cruises‘ Braemar left Harwich on June 6 for a special “D-Day anniversary” cruise with a call in Cherbourg on June 4 and has arrived in Le Havre today; Swan Hellenic’s Minerva left Porstmouth June 4 for the “D-Day 70th anniversary Reflections of France” cruise and is expected in Le Havre tonight. 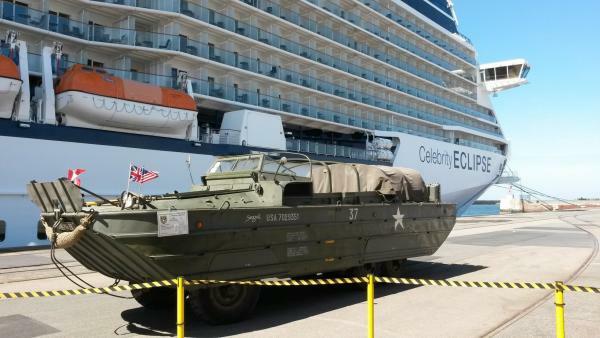 The Celebrity Eclipse is also in Le Havre today. 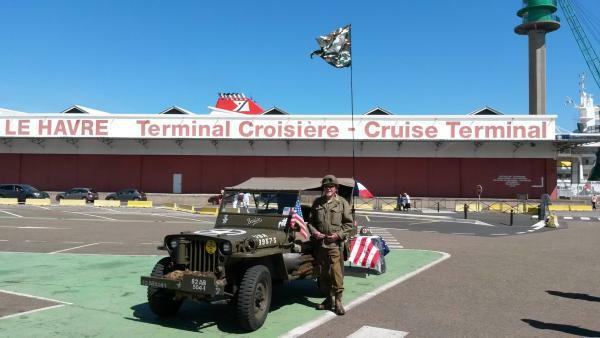 The atmosphere at the Le Havre Cruise Terminal is dedicated to the 70 anniversary with military vehicles on the pier and a jazz band playing mid-40’s music.